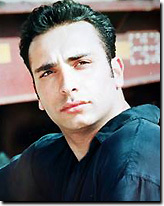 Ilan started his dancing at Arthur Murray in West Haven CT and became an instructor after two years. Three years into his dancing career he was introduced to Salsa at one of the local Salsa clubs, and decided to learn more about this dance. Since that moment he switched his career from Ballroom dancing to strictly Salsa. Ilan has taken part in many competitions and Salsa Congresses around the world. In 2001 he (along with partner) started a group called Salsa Kids. “Salsa My Way” was operating for the last 5 years in Hartford CT where he has given lessons to many children and adults. practicing for the world championship competition.